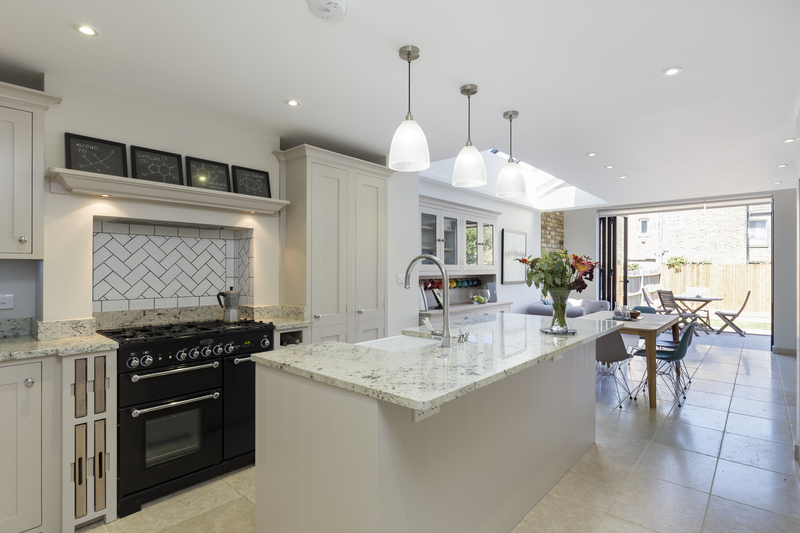 This residential renovation by Model Projects turned a small, dated kitchen into a modern, open plan space. 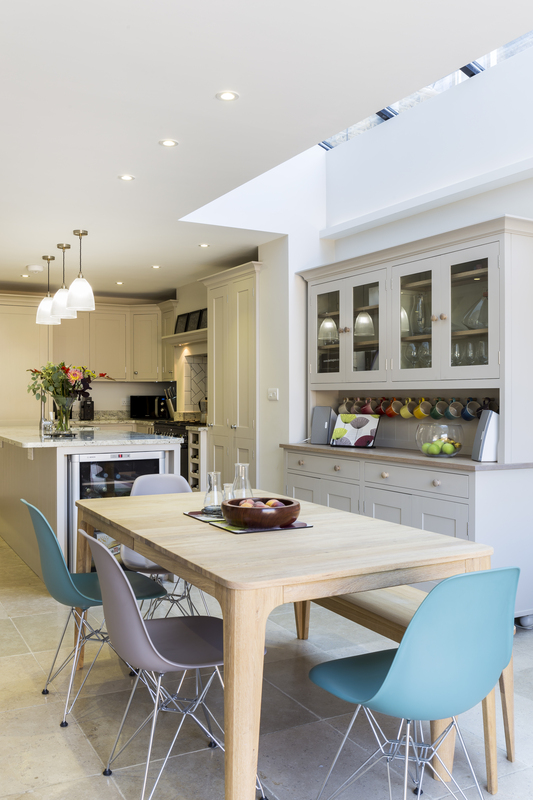 By redesigning the rear of the house, they created a large, multi-functional room with a new kitchen-dining-living space. 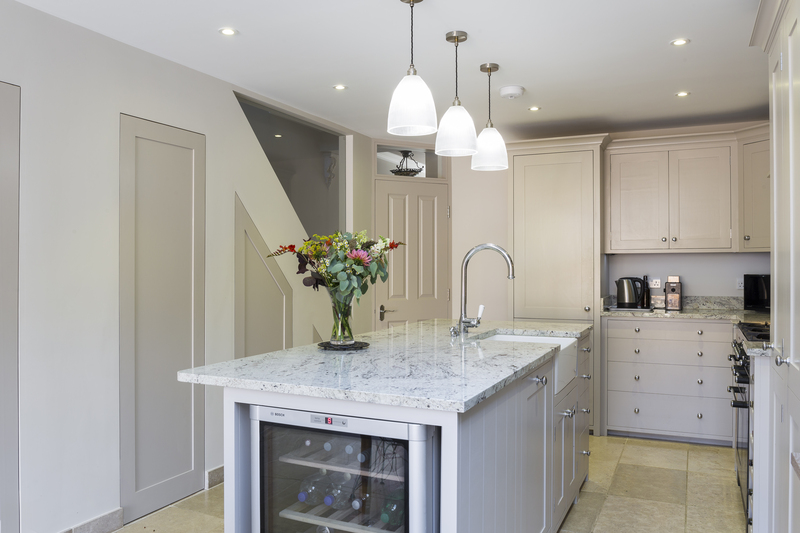 The timeless shaker-style kitchen is the perfect setting for our Large Prismatic Pendants, inspired by vintage railway lights. 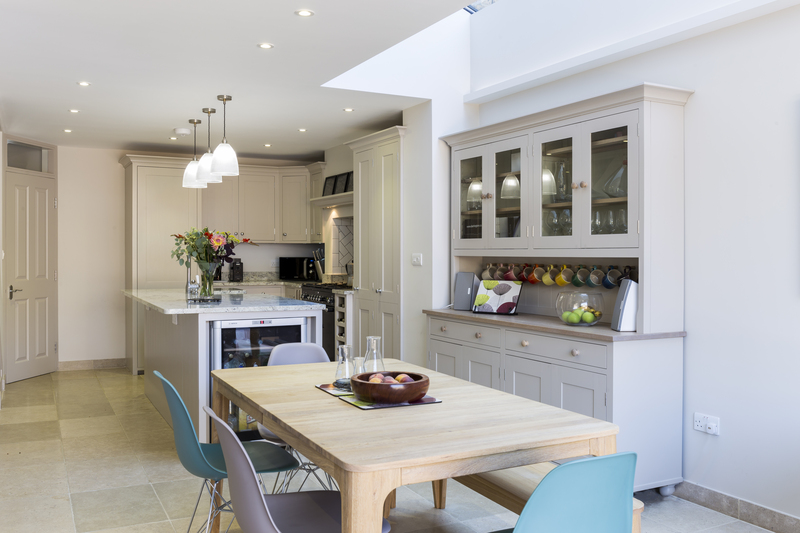 Hanging over the island, our simple pendants are a classic feature in this family home. 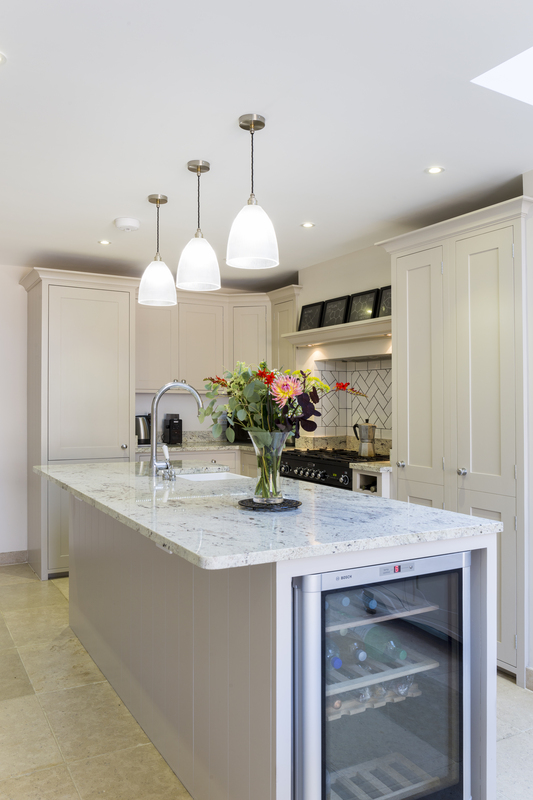 Providing bright light for tasking, the large glass shades work well over the white granite surface while offering enough illumination for food preparation. 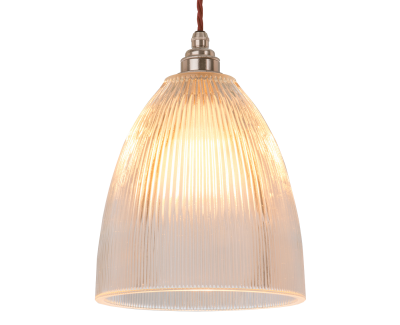 The prismatic shade helps to disperse the light, creating an ambient glow throughout the space. This is ideal for this open plan room as the shades cast general light into the dining and living spaces to create a warm, comfortable atmosphere. 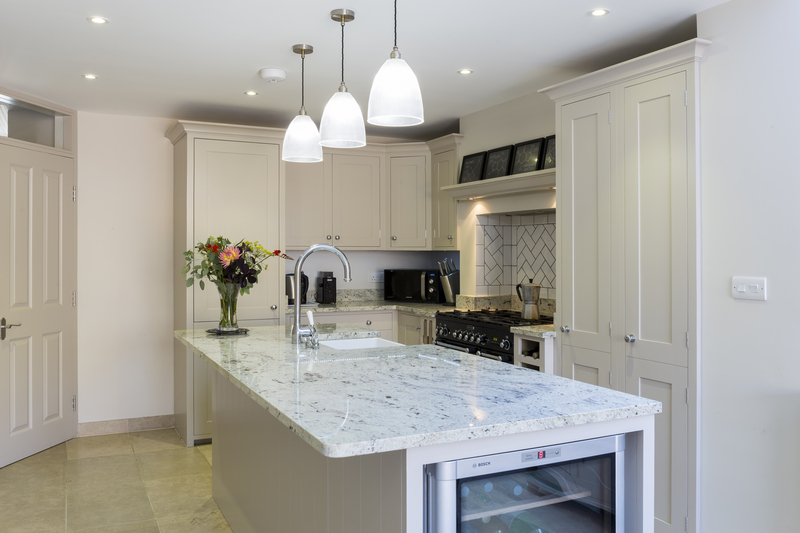 Our modest glass fixtures are complemented by the neutral colour scheme. This minimalism keeps the space feeling light and airy, while the dining chairs add a contemporary pop of colour, bringing the traditional style decor up to date.